A range of quality Bacon and Gammon products. Our selection of bacon has something for every type of bacon lover. The balancing of flavours during the bacon curing process is an artform in itself. 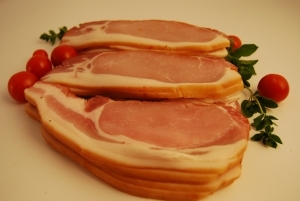 We believe we have found the best in the game to supply our bacon & gammon - Tasting is believing!